STOCKTON, CALIFORNIA (April 11, 2019) – Registration will open on April 23rd for the fifth annual Hoosier Tire California Speedweek, attracting 130 Micro Sprint drivers from across the world June 25-29. Registration is important as the fields are limited to 50 Super 600, 40 Non Wing, and 40 Restricted Micro Sprints. 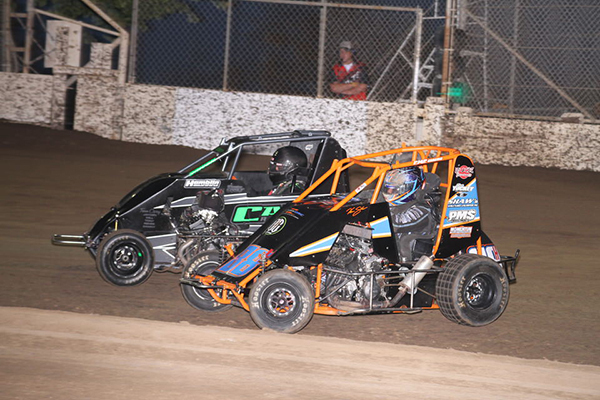 Drivers will be chasing nearly $60,000 in prize money across Dixon Speedway, Delta Speedway, Keller Auto Raceway at Plaza Park, and Lemoore Raceway. Elk Grove Ford has joined as a major sponsor of the series to go along with the exciting, multi-year contribution from Hoosier Tire. Elk Grove Ford in the Elk Grove Auto Mall is committed to a hassle-free buying process. They are also Sacramento’s only Car Pro-approved Ford dealer. Drivers and teams from across North America and Australia will venture to California compete for cash, prizes, and carved wooden bear trophies. Defending champions include Jake Hagopian, Tj Smith, and Dylan Bloomfield. Early registration links have been emailed to drivers who finished in the top-ten of each division in 2018. Teams may request a link to steven@norcalmedia.com Registration for the rest of the field will open on April 23rd at 8 a.m. Pacific Time with the link available at www.HoosierCASpeedweek.com Registration is being conducted through the My Race Pass website. The California Speedweek is available online at its new home www.HoosierCASpeedweek.com or on Facebook and Twitter. California Speedweek thanks Hoosier Tire, Elk Grove Ford, Bullet Impressions, Driven Performance, CSI Shocks, Wilwood Brakes, Keizer Wheels, and My Race Pass for their support.